Your blogger is in the DC area where he and Gina will celebrate, with thanks, the presence of his two sons and their families, both in the US together for the first time in more than eight years. This year we all, I think, have much to be thankful for. What the future holds – with economic uncertainty, governmental gridlock and, in the US, automatic “sequestration” of Defense Department funding – is less than promising. Some claim that the US Navy may be reduced to its smallest fleet since 1915. What impact will the funding reductions have on the Navy Medical Department? Will the cuts require force reductions that leave a medical establishment too small to properly serve our sailors and Marines? Democracies seem to go through cycles like this – not to our great benefit. 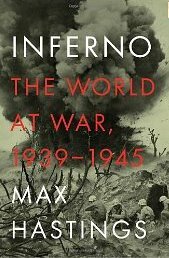 On another note, may I recommend for your more serious holiday reading a simply superb history: Sir Max Hastings’s “Inferno: The World at War, 1939-1945“. I find his descriptions, based on experiences of those who were there – of incredible courage and individual “small” heroism shown at every level of that most mammoth and horrible of human efforts – to be humbling in the extreme. Hasting also is unsparing in his criticism of craven colonial callousness or of incompetent military leadership. As I say, not “joyful” reading, but important. 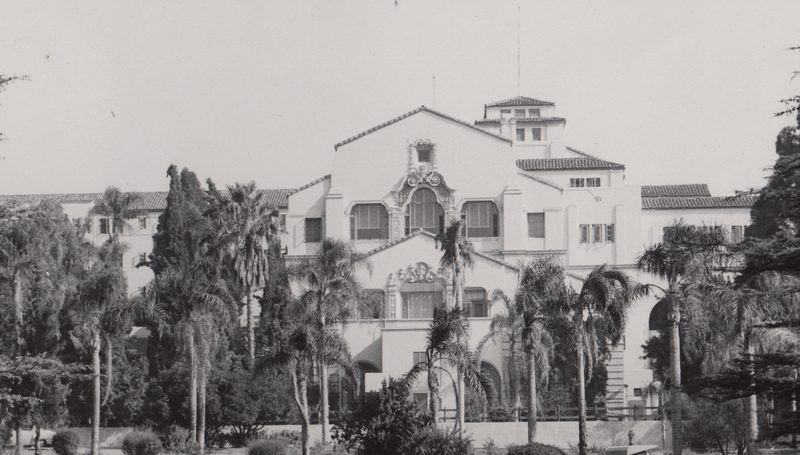 Kevin Bash is a mover and shaker behind efforts to restore the Lake Norconian Club, a 1920s-era southern California resort. Popular with movie stars in its hayday, the resort fell on hard times during the Great Depression. With war looming, and eager to find resort facilities for rehabilitation of injured sailors and Marines, Navy Surgeon General Ross McIntire jumped at the opportunity to secure the place for Navy use. The contract was signed the day before the Japanese attack on Pearl Harbor. Now, Kevin and his Foundation sponsor an annual Pearl Harbor observation at the old resort, and this year, Kevin asked your blogger to speak at the event. The topic: the Navy’s hospitals in World War II. 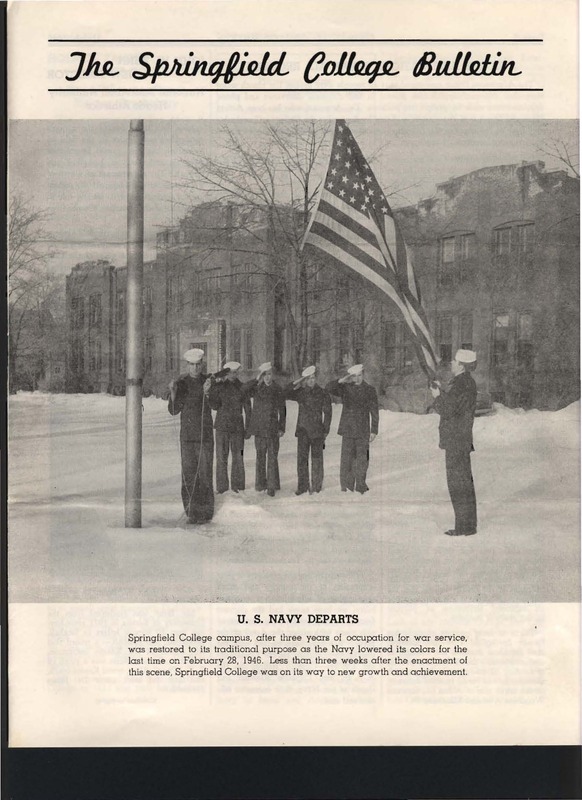 In another file that Jeff sent, a comparison of images from a 1945 hospital brochure and a virtual campus map accessed online today, shows that the building designated then as “main hospital ward building ” stands on today’s campus as “Alumni Hall”. 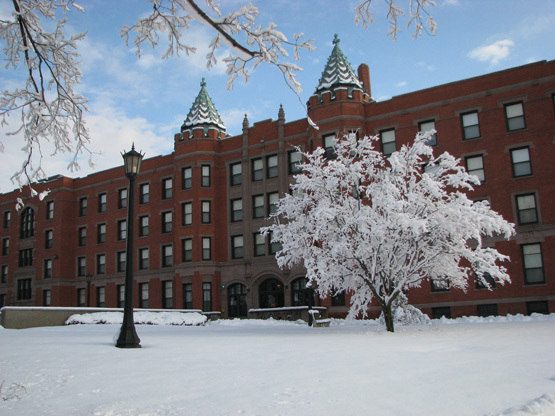 History lives; yet I suspect that almost no one realizes that the dormitory of today once provided shelter for the rehabilitation of some of our nation’s war wounded. I Love Archivists – for helping to make possible this kind of connection between past and present. The NYT article below was sent by Mike Rhode, archivist at the Navy Bureau of Medicine and Surgery Historical Office. A link to the article in the Times follows the article. As Mike pointed out, the last few paragraphs are of particular interest to us in the history of maritime medicine community. It hints of a sad commentary. Brooklyn Navy Yard Development Corporation. "It's just a cool story." history, as well as the vessels the yard produced. the ceiling and its weight chiseled into its steel: 22,500 pounds. the bottom of the Hawaiian waters. the land, from the Lenape Indians to the Dutch, adorns the wall. in Vinegar Hill, Brooklyn, stands inside a clear case. bosses for the same $1.14 hourly wage that men received. "Eventually,"
tenant, is among the items on display. century as a means of communication between ships. II, as one of the first black nurses at the site's naval hospital, Mr.
return to the place he left behind in 1945, after one year of service. adrenaline going in my old bones." Your correspondent was on the road last week–in DC–to cheer his younger son Jason in his eighth Marine Corps Marathon, and to enjoy Hallowe’en with our four year old grand daughter recently come to DC when our older son and his family returned from 6 years in Brussels. Both sons / families in the US at the same time! We don’t expect this to happen again for several years, as they are both married to Foreign Service officers who rotate out to U S Embassies on a roughly two year schedule. 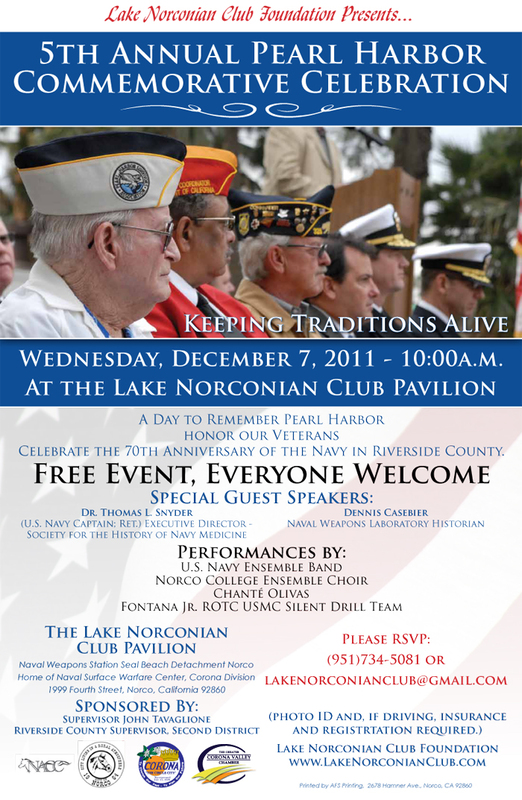 I’ve been invited to speak at a Pearl Harbor event–7 December–at the former Naval Hospital in Norco, California. At war’s end, the Navy, responding to patients’ desires to be moved near their homes, quickly demobilized patients. Despite its designation as a TB and polio treatment facility, the hospital’s census was down to around 500 by 1947. By January 1949, only 150 patients remained, and the facility closed its doors to patients on 1 November. “Historical Supplement to Fourth Quarterly Sanitary Report – Cumulative Report for Period of World War II, U S Naval Hospital Corona, California” [undated, but after October 1945], U S Navy Bureau of Medicine and Surgery History Office Library, file “N H Corona”. “The History of the Medical Department of the United States Navy in World War II – A Narrative and Pictorial Volume” ; Navmed P-5031, Volume I. Washington, DC, GPO, 1953, p 1. Bash, Kevin, and Brigitte Jouxel, Images of America – The Navy in Norco”, Charleston, South Carolina, Arcadia Publishing, 2011. “Corona, M. I. Hospitals Told to Stop Accepting Patients”, Vallejo Times-Herald, Friday August 16, 1957.